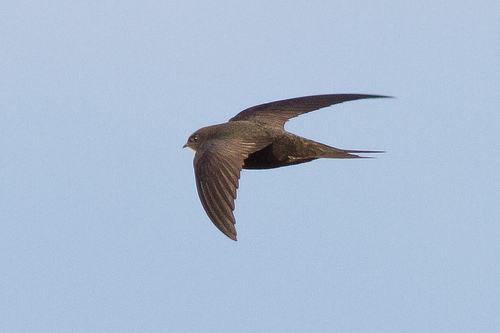 Swifts can fly in large groups high above the city with much screaming. Once a Swift lands on the ground, it has problems flying away. It lacks the strength in its legs to make a jumpstart. 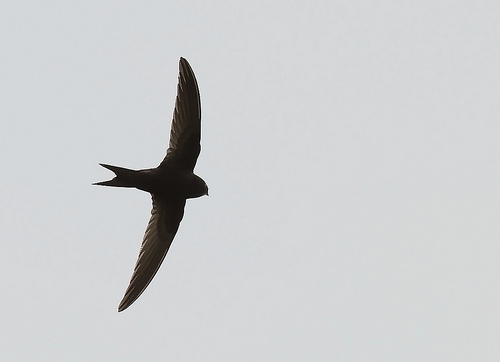 The Swift is characterized by a different way of flying: short, quick strokes and then a long glide. The Barn Swallow 'flies' more during its flight. The Swift is often high in the air, the Barn Swallow hunts near the ground.